I bet you love good movies as I do. But what makes a good movie? I don’t know if you feel the same, or it’s only me. Whenever I watch a blockbuster movie, I always have that déjà vu feeling. Seem like Hollywood has worked out a formula to make a home-run in box office, by sugar-coating a poor script with Big Budget, Big Stars and Big Action. The moment I start to watch, I already know how the story will go and end. The billion-dollar big screen action and hot girls are indeed eye candy, but, after the movie, I can hardly start a meaningful conversation with my date. What to say? “Hey, the good guys finally win the bad people”? Watching a commercialized movie is like having fast food, taste great but lack of nutrition. Movie is a powerful medium to convey a thought and to inspire people. It can be very influential and change the way we view an issue, so it can get really politics sometimes. I believe most Malaysians are mature enough to judge what is right for them. With the popularity of Youtube, now everyone has the chance to become a star. Sometimes the video can go viral, but not in a desirable context to producers though, lol. I like movies that challenge the convention, especially the ordinary things that we take for granted every day. It can be something provokes controversy and perhaps make us a bit uneasy at time. I’m not a big fan of science fiction, so I prefer true story that helps me to see the reality and look inside my soul, and ends with a hope or new understanding of life. That’s why I am really looking forward to Borneo Eco Film Festival (BEFF) from 27 to 29 Sep (I’m not trying to say BEFF is better than Hollywood ok). In fact, I haven’t been to BEFF. When BEFF started in 2011, I thought it was a movie festival that showed vintage films or some sort of green propaganda. I was wrong. Some friends of mine asked me, “Huh, it’s a great event. Why didn’t you go! ?” The feedbacks about BEFF has been great. It is not a green event, but a colorful 3-day event that excites movie junkies and filmmakers. The event got full house in Sandakan last year. I’m glad it is back to KK this year. Hey, it is an annual event, miss it and you will have to wait another year. Btw, it’s free and open to public. You have nothing to lose. Below are a few exceptional movies that I really want to watch in BEFF’s free screening. They are regional premiere exclusive for BEFF, so they would not be available in our local theatres. Orca (killer whale) is my favorite animal because it’s strong, smart but warm-blooded (though it looks like fish). The story of a performing killer whale (named Tilikum) shocked me as it killed his long-time trainer Dawn Brancheau. After 2 years of research, Director Gabriela Cowperthwaite reveals what’s wrong. This heart-wrenching documentary received rave reviews from media around the world and inspired Pixar Animation Studios to rewrite the ending of Finding Nemo 2. Borneo Eco Film Festival: Blackfish (2013) Trailer from BORNEO ECO FILM FESTIVAL on Vimeo. Less than 5% of ocean is being seen by human. OCEANS is not a documentary, but a wildlife opera. Be stunned by the splendid nature, no faked animation. I got goose bump when I watched the trailer. The artistic level of this film makes Discovery Channel looks like home video. It costs USD$5 millions and take 4 years to produce this movie. Borneo Eco Film Festival: OCEANS (2009) Trailer from BORNEO ECO FILM FESTIVAL on Vimeo. This film is about us, the Bornean people. 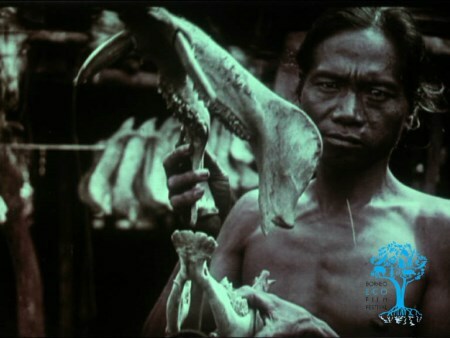 I don’t know how they find this rare 102-year-old footage of Borneo headhunters. New Zealand Film Archive gives BEFF the right to show this film, which is never broadcasted publicly. An award winning film at the 2012 Sundance Film Festival. This thought-provoking movie tells us how mankind fights to protect the environment and win the battles. The environmental problem caused by greed is not a regional issue that only affects the local people. For example, the haze of Indonesia can spread to neighbouring countries. Now the battle for a liveable planet is like 3rd World War and happens everywhere. Borneo Eco Film Festival: A Fierce Green Fire (2012) Trailer from BORNEO ECO FILM FESTIVAL on Vimeo. 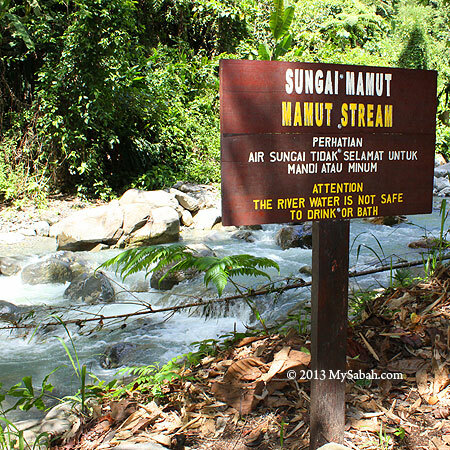 Pic: The pollution caused by Mamut mine is an expensive and painful lesson to Sabahans. It is still haunting us until today. BEFF is not an event just to show movies, but to nurture movie makers too. BEFF is the only festival that enables Borneo’s indigenous people and community groups to make their own films in their own voice. With compact camera and smartphone, everyone can become a storyteller. There is a short film competition for local filmmakers to show their creativity in telling their Bornean stories. 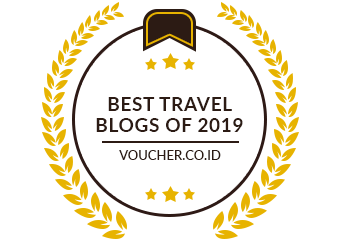 Let’s check out who has the best story this year. 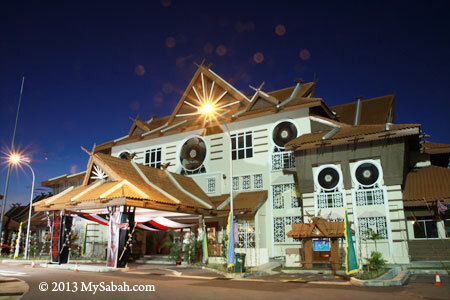 Besides, there is a Filmmaking Workshop for 60 budding filmmakers from all over Sabah. BEFF is sowing the seeds and hope we will see more local films in future. 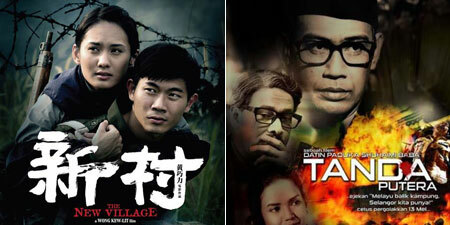 There are many other movies and activities such as Borneo Pitch public forum and public talks on e-Waste. You may check out their schedule to find out more. For those who come, you would walk home with an Acer Iconia tab or free food & stay in 5-star hotels from the lucky draw. The opening night of BEFF will be on 27th Sep (Fri) at 7:30pm in Jabatan Kebudayaan dan Kesenian Negara Sabah (JKKNS) complex (See location map). See you tomorrow (Friday)!